Tanya and I had a terrible experience with Virgin Australia (VA). We booked flights from Phoenix to Queenstown, New Zealand, through Delta. However, Delta could only fly us to Los Angeles so they booked us on their partner, Virgin Australia, from LA through Brisbane, Australia to Queenstown. Here’s the key point: We checked in 4 bags, 2 each, and they were correctly tagged for the three flights. The flights themselves were great, but when we arrived in Queenstown things went bad. Day 1. 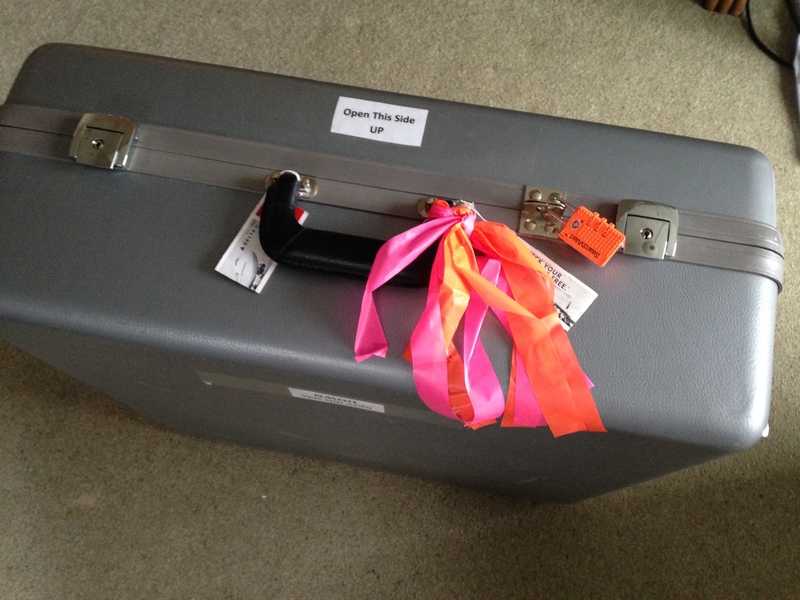 After arriving in Queenstown we waited and waited but only 1 bag arrived – Tanya’s bike box. We filled in the various forms and left for our accommodation near Wanaka, about 70 km away over a steep and windy mountain pass. Tanya called AMEX baggage insurance to find out our benefits and to file a claim so we could buy some necessities such as toiletries and changes of underwear. Day 2. The next day Tanya called Jennifer at Queenstown airport baggage services several times. No news. Jennifer said she had sent messages to VA in Brisbane but not heard back. On one of Tanya’s calls, Jennifer told her that one bag was due in that afternoon from Sydney! No clue why it was in Sydney since we flew through Brisbane. We drove to Queenstown to pick up the bag but it had not actually been put on the plane. Jennifer told us that this sort of thing happens a lot with Virgin Australia. Back to Wanaka, bagless. Day 3. More phone calls to Queenstown and also to VA baggage services in Sydney. Still no news. Tanya called VA LAX and called Delta. She discovered that one bag was still in LA, scheduled to leave “soon”. Day 4. No flights due in with any bags. Tanya called Sydney and Brisbane several times, requesting them to look for our bags, and gave them very precise descriptions. Persistence is a great virtue in situations like this! This whole story is complicated by the fact that we didn’t know which bag tag numbers went with which bags (and it turned out that the lady who checked in our bags in Phoenix actually tagged all our bags with the other person’s name.) The system apparently looks for a combination of bag tag number and description, which makes finding the bags a bit harder. Moral: make sure you know which tag is on which bag. The file on our bags was now getting so long and complicated with all the missed flights and missed connections that each time Tanya called she had to explain the story again. Day 5. Tanya called Jennifer at Queenstown airport and was told two bags were due in from Sydney and one from Brisbane that afternoon. Things were looking up. Drove to Queenstown to discover that the Brisbane bag was actually on its way from LAX and had not yet got to Brisbane. As for the Sydney bags, one was Alec’s bike and the other was to a random blue duffle that scarcely matched our description. It contained rock climbing equipment and had absolutely no tags on it. At this point we had two bags – the two bikes – but no cycling clothes – or clothes of any type. Drove back to Wanaka and Tanya started calling VA Sydney (Deborah) and VA Brisbane again. Both people walked the halls looking for our bags but found nothing. Deborah called back to tell us this, but we had to call Brisbane back even though Carlie promised to call. Day 6. Jennifer from Queenstown called to say there was no news yet, but that she had sent VA many messages to which she had no response (she seemed to like sending messages rather than calling and talking to people.) Tanya called Brisbane to locate the one bag we knew was due there from LAX. The girl she spoke to said yes, 4 bags were scheduled to arrive! When told that we only expecting one bag from LAX, she changed her story and said one bag had arrived. When asked for details on its appearance said she couldn’t remember. So we didn’t know which bag was where. Tanya called Deborah in Sydney – still no news. In the meantime, a friend in the U.S. had called VA in LAX and was told that 3 bags were being sent from LAX and was even given VA rush tag numbers! Utter incompetence. Waited an hour then Tanya called Brisbane back hoping to find someone else and got Will. She told Will the long and complicated story and asked him to eyeball the bag and describe it to us. Turned out it was Tanya’s silver duffel. She called Deborah in Sydney back and told her they had Alec’s blue duffel and maybe it had been switched with the blue bag that was mistakenly sent to us yesterday. Now knowing what she was looking for, Deborah sent someone to look again for the bag. She called back and said they had found it – in a customs hall somewhere. (Why our bags, which were transiting to NZ were even in a customs hall escapes me.) Deborah told Tanya that the bag had been tagged to be loaded on a flight that was due in Queenstown later the same day. We drove to Queenstown to pick it up. When I unpacked the bag, I discovered a new tag – inside the bag – that said it was supposed to have been sent on day 3. It appeared to have been ripped off the bag and shoved inside.So the bag languished for another 3 days inside some customs hall in Sydney and was only found because of Tanya’s repeated phone calls and requests to physically search for the bag. Day 7. Tanya called Will at VA Brisbane and asked him to please check that the bag was actually loaded on the flight. He checked and called back to say that all was well. Will was really helpful – the most helpful of all the people Tanya talked with. Drove to Queenstown again and picked up the final bag. Yeah! All bags arrived with ALL tags intact, both airline tags and our name tags. Given that bags should be scanned when they are put on the plane and when they are taken off, there seems no reason that the location of the bags was unknown. And given that all the tags were on all the bag, it’s mind boggling that the bags could not be found sooner. On in the immortal words of Wallace Shawn, inconceivable. Jennifer at Queenstown baggage services was very nice and very understanding, but completely ineffectual at getting our bags. She was great at sending emails and messages, but this sort of situation needs someone who makes phones calls, reaches out to actual people, and gets results. It requires building networks of allies in different organizations, people who you can call on to help with problems. Sending messages and expecting unknown people to help you rarely works. As Oscar Wilde might have said if he had flown on Virgin Australia, to mislay one bag might be regarded as a misfortune; to mislay two looks like incompetence; and to mislay three bags is utter incompetence. Colored streamers on the bag handles to help distinguish them from other bags. We do this anyway. Brightly colored locks to distinguish the bags. Make sure we know which tag is on which bag. Good solid name tags on the outside and a piece of paper with our name and contact information inside the bag. This wouldn’t have helped in our situation, but it’s a good thing to have – the climber whose bag that was sent to us would have benefited from this. If you have a duffel where the two side straps can be velcroed together, do NOT let the checkin people put the tag around both straps. The straps can be ripped apart while the bag is being handled. Make sure the tag is only attached to a single strap. Take photos of the bag to send to the baggage claim people if the bag is lost.